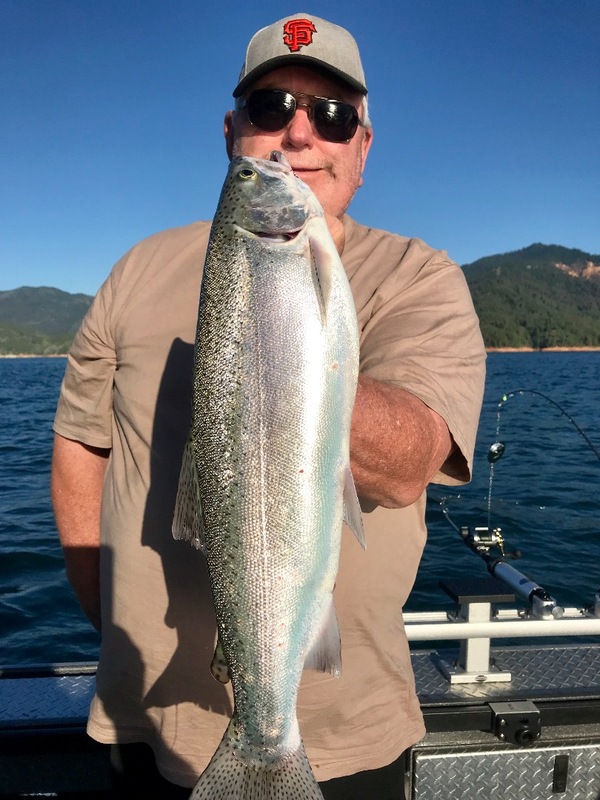 Today we fished Whiskeytown Lake for Kokanee salmon. We had a fast start and then left fish to find fish. Big mistake... Most of my reliable locations failed us today and it wasnt until the end of the day that we found a great bite in an area that wasn't getting pounded by pontoon and wakeboard boats. It was a long day, but by days end we'd hoked a good number pf nice Kokanee, trout, and even a bass. 40'-70' was the depth we found them most consistently in. Pink PLine Sunrise squid tipped with Pautzke Fire Corn and trailing a Trinidad Tackle 6" dodger was a winning combo for us today. 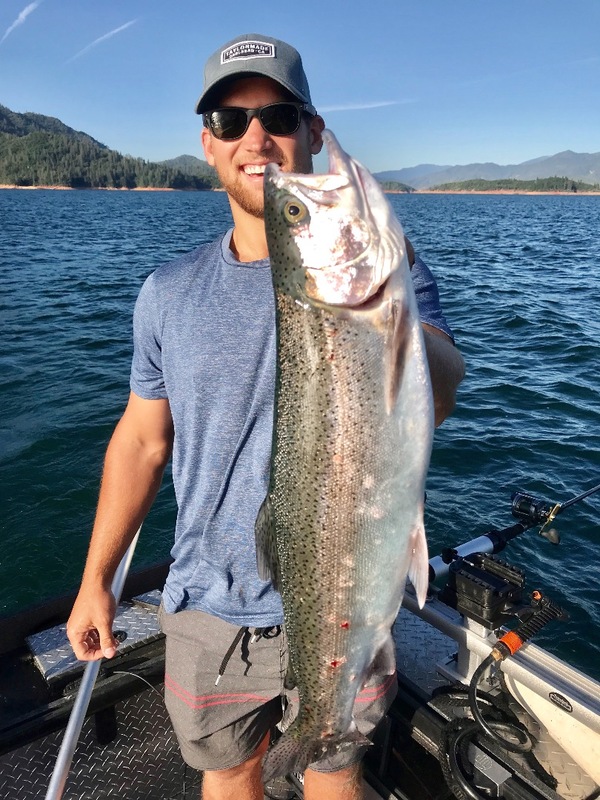 Whiskeytown Lake is fishing good, but you have to use some mind blowing patience some days. Tight Lines!